Skilled pastoral caregiving, Susan Dunlap argues, requires an understanding of the culture of the local congregation where it is practiced. 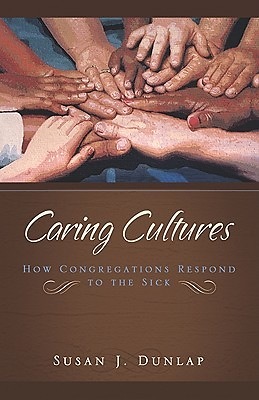 An engaging example par excellence, Caring Cultures looks closely at three very different congregations' responses to the body in times of illness: an African American congregation in the Apostolic Holiness tradition; a Euro-American mainstream Protestant church; and the Latino members in a Roman Catholic parish. With vivid examples drawn from the author's interviews and observations, this beautifully written book shows how each congregation has developed divergent ways of thinking about the body, habits of responding to it, and understandings of God's response to the body's pain or peril. The author offers unusually rich descriptions of care-giving as it is displayed in these three congregations, integrating both well-explained theory and moving personal stories. There is much that is wrong with our current pastoral care. Susan Dunlap's insights can help us set that right. She shows how much of our current care giving in the church is culturally bound, limited to the needs of a limited constituency and economically determined. Through study of specific congregations, she challenges many of our inherited patterns of care and thereby encourages us pastoral care givers to expand our vision of care. I found this to be a challenging, helpful, hopeful book. Caring Cultures offers profound insight into an ancient and ongoing practice of the Christian life: the care of those who are ill. Through rich portraits of this practice and the beliefs that sustain it in three very different congregations, Susan Dunlap shows how diverse groups of contemporary Americans experience illness, embodiment, mutual support and, ultimately, God. The depth and attentiveness of Dunlap's research, together with the compassion and beauty of her writing, make this book important reading for practical theologians, chaplains, congregational leaders, and others who would deepen their capacity to understand and minister in the midst of suffering. ---- Dorothy C. Bass, Director, Valparaiso Project on the Education and Formation of People in Faith.